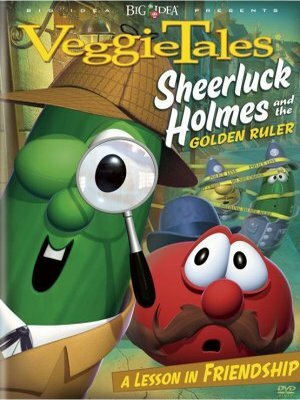 Larry the Cucumber is detective dynamo Sheerluck Holmes and Bob the Tomato his venerable sidekick Dr. Watson. Together their superlative powers of observation and forensic fortitude can solve any crime. But because Sheerluck takes all the credit for the pair’s sleuthing savvy, the missing Golden Ruler — the most valuable and prized treasure in all of Buckingham Palace — may never be recovered.